Raymond was born April 26, 1928, in Ossineke Township to the late Herman and Esther (Brandt) Wegmeyer. On October 25, 1947, he married Dolores Beck. She preceded him in death on March 1, 2016. Along with his wife, he owned and operated Wolf Creek Farm Supply from 1949-2015. Bud was a county commissioner for 12 years. He was a member of Farm Bureau for 69 years and served as chairman and on the membership enrollment committee. 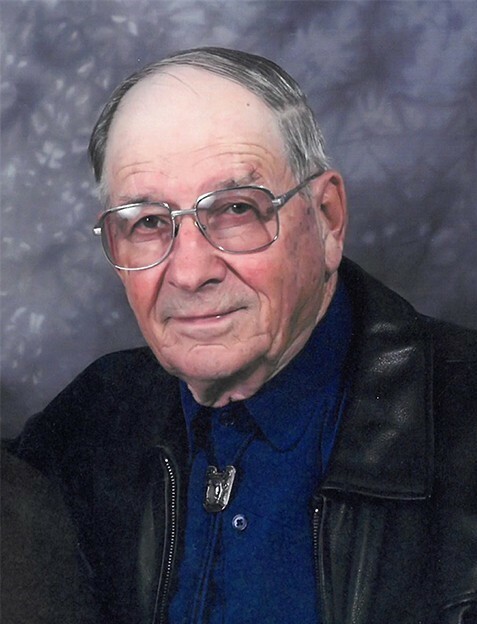 Bud was an active member of St. Paul Lutheran Church – Hubbard Lake. He taught Sunday School for over 20 years, sang in the choir, and served on the church council. Surviving are his four children, Connie (Doug) Funk, Joan (Ron) Vanover, Janet (Mike) Gagnon, Paul (Eileen) Wegmeyer; 13 grandchildren; 13 great grandchildren; and several nieces and nephews.